Oppo F11 Pro is a complete package for those who want optimum gaming experience, good photography, excellent battery and more on a budget. Oppo R17 Pro's SuperVOOC flash charging review: Nothing like it! 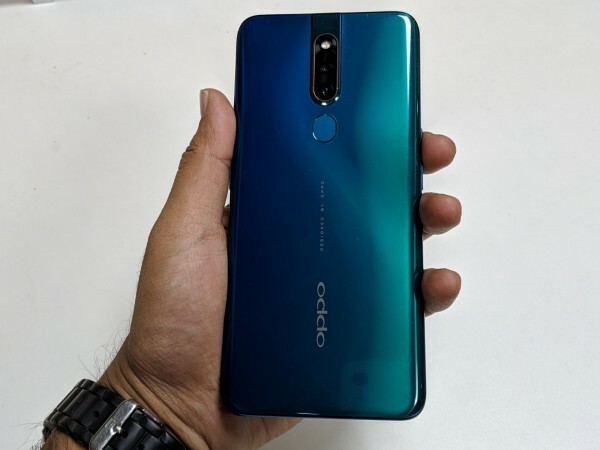 Oppo F11 Pro was launched in India last month and went on sale from March 15. 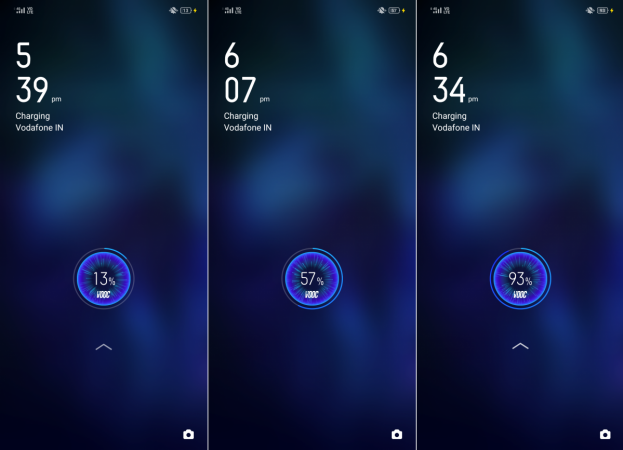 The Oppo smartphone has been labelled a Vivo V15-clone for its identical looks and similar features, but both phones have some differentiating factors that set them apart hence making them chief rivals. You can either go with Vivo V15 Pro or Oppo F11 Pro, but saying both phones offer the same experience is not the truth. You can read up our review of Vivo V15 Pro from last month and the Oppo F11 Pro review here will give a better perspective of which device to choose. First things first, Oppo F11 Pro is priced at Rs 24,990 while Vivo V15 Pro is slightly higher at Rs 28,990. But the difference in price is justified by some upgrades we don't see in the Oppo smartphone. The missing features don't make the F11 Pro any less competitive as it serves well as an overall package. Oppo F11 Pro speaks a fluent design language and you'll fall in love with it the moment you lay your eyes on it. 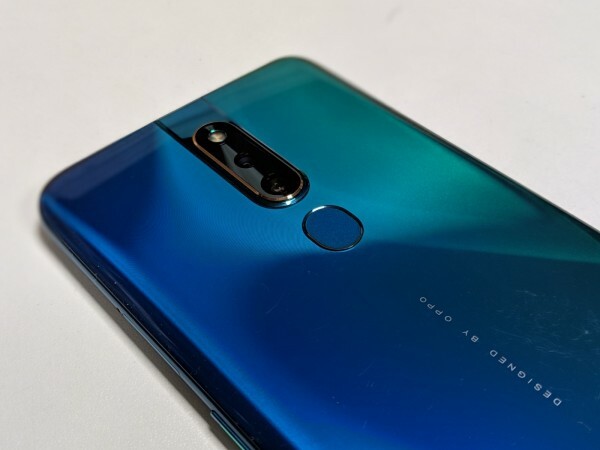 The unique gradient finish on the back of the phone with Oppo branding, oval-shaped fingerprint sensor and a dual camera module with LED flash in a pill-shaped cubicle is aesthetically pleasing. 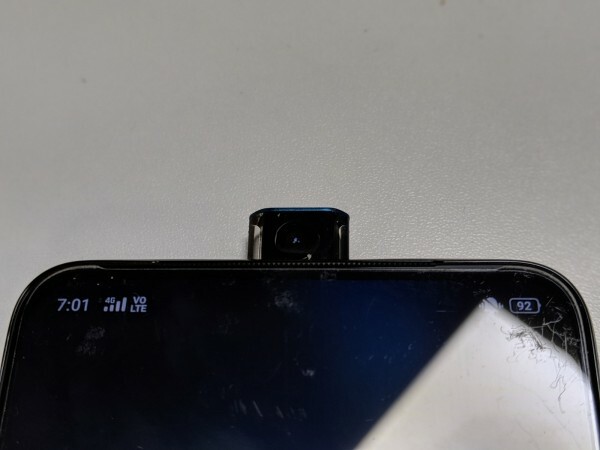 Oppo F11 Pro features a microUSB port at the bottom, with a three-grille speaker and a 3.5mm headphone jack on either side. The curved sides offer a better grip and despite its glass unibody, the handset is not slippery. There's a pop-up selfie camera safely tucked inside the top chassis at the center, which also adds continuity to the rear cameras. Finally, there's a full-screen display that is not disrupted by bezels or a notch, which makes a powerful impact in the viewing pleasure. 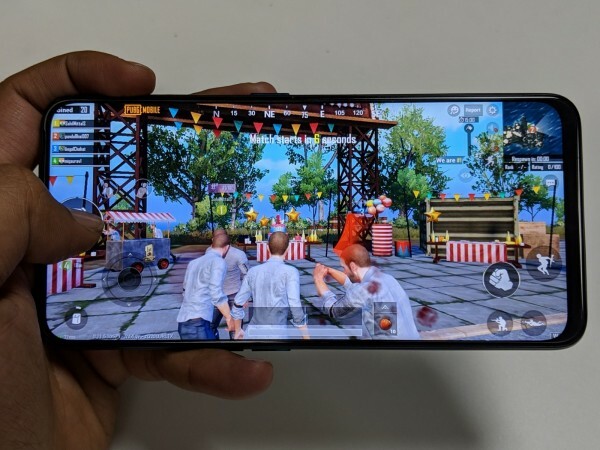 The immersive 6.5-inch Full HD+ display with 90.9 percent screen-to-body ratio is eye candy and playing games or watching movies is an experience on its own. All said I wished the F11 Pro was a tad slimmer. There's literally nothing else Oppo could have improved in the design of the F11 Pro. Oppo is betting huge on the F11 Pro's camera, claiming it raises the bar in low light photography. So I tested the claim and found some interesting results. Oppo F11 Pro features a dual rear camera setup combining a capable 48MP sensor with a 5MP lens. For a smartphone in the sub-Rs 25,000 price range, Oppo F11 Pro delivers results that can challenge rivals. Shooting in broad daylight delivers the best results, with decent colours, exposure, contrast and high dynamic range. As you zoom in, there's noise in images shot in daylight as well. 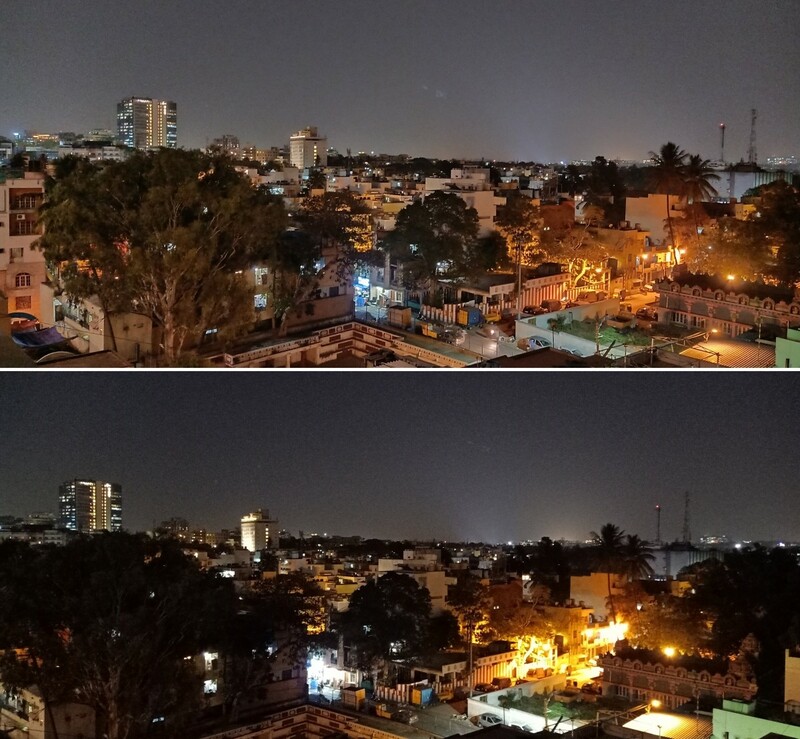 As the sun starts to set, the F11 Pro's camera starts to gain some grains in the images, mainly in low-light areas. Switching to Night Mode helps only to a certain extent as it does little to eliminate the noise from the images but does a good job at brightening the image that doesn't seem too unnatural. 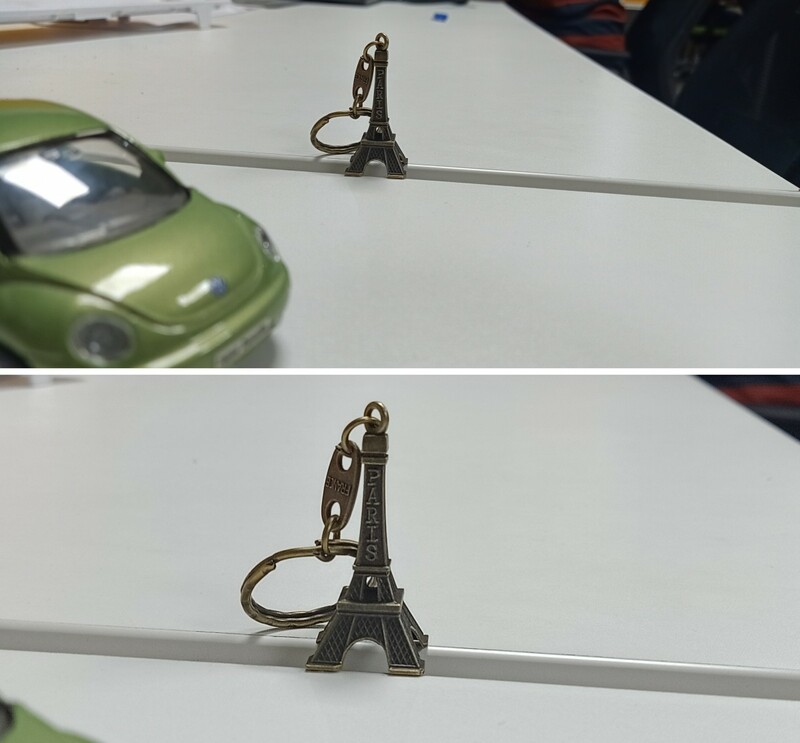 I also tested the portrait mode and the AI in normal mode seems to be doing a better job than the portrait in close-up shots. However, the portrait mode works better when shooting a subject with bright light in the backdrop. Focusing was rarely a problem and videos came out good with the F11 Pro. Selfies, as always, are Oppo's expertise and the F11 Pro delivers lovable photos from the front camera. Oppo F11 Pro is powered by a MediaTek Helio P70 chipset paired with 6GB RAM. This is an ideal setup for a lag-free experience for most mobile tasks and the F11 Pro fully delivers. From playing PUBG Mobile to streaming videos on Amazon Prime and Netflix and doing the regular mobile tasks, Oppo F11 Pro doesn't compromise on the performance bit. Oppo F11 Pro is not the most powerful handset out there, so there might be some areas where it could improve. But the phone's price makes it a wise choice for those who cannot break their savings just to get that optimum performance. For as long as your mobile activities include calls, messaging, streaming and gaming, Oppo F11 Pro is more than you will ever need. Playing PUBG for extended sessions on that beautiful full-screen display doesn't drop frames or heat up the device anytime. Surprisingly, I noticed some jitters while trying to scroll through Facebook feeds. 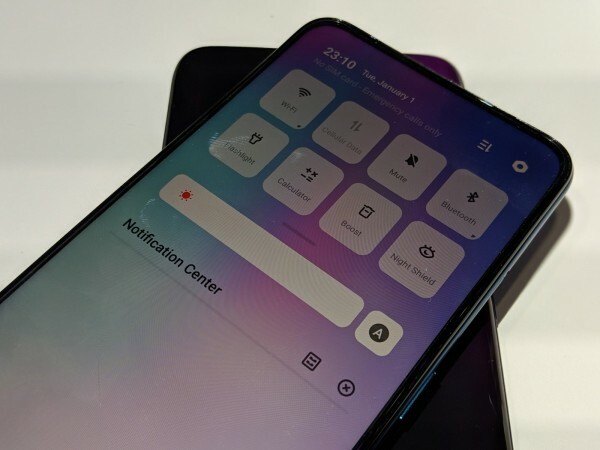 Oppo F11 Pro also brings ColorOS 6 to the masses, which I was pretty excited about at first. There are some excellent features like the revamped notification area, Game Assistant, Hyber Boost are some features I really loved. But there is a lot of bloatware, most of which users may not ever need. But in terms of optimisation, ColorOS 6 has come a long way since ColorOS 5 and users are in for a treat. A phone's battery is judged by two things, how long it can last and how long it takes to charge. 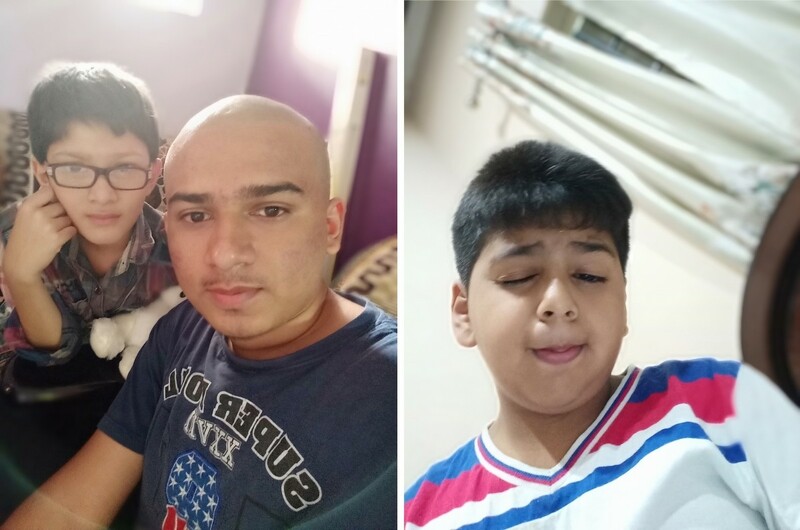 Oppo F11 Pro seems to have found a gold spot by giving the best of both features. Oppo F11 Pro delivers a full day battery life with mixed usage, but with extensive gaming and streaming, you'll need to have a charger nearby. With average use of calls, messages, music streaming, and one session of PUBG, I managed to get up to 8 hours of runtime, which essentially means around 6 hours of on-screen time. There's not much to complain here. But the fast charging capability of F11 Pro, courtesy of Oppo's VOOC 3.0, is really impressive. In my tests, Oppo F11 Pro consistently charged to full after nearly draining the battery in less than an hour. When timed the charging speed, the F11 Pro reached from 10 percent to 70 percent in 30 minutes and charged 90 percent in an additional 20 minutes. Oppo F11 Pro's battery is one of the strongest USPs. But I was disappointed by the use of microUSB port in the F11 Pro when almost all other phones have switched to the convenience of USB Type-C. Oppo's VOOC charging works only with microUSB, which kind of makes up for the integration. But we're hoping to see that change over the future. Oppo F11 Pro comes with a rear-mounted fingerprint scanner and facial unlocking support. Fingerprint and face unlock using popup camera are both excellent and unlock the device within seconds. You are hardly kept waiting while the pop-up camera rises and unlocks the device with facial recognition, it's a blessing in disguise. Although you can hear the elevating mechanism in the popup camera, which I wish had been silenced, that's just wishful thinking. It's not annoying, but a matter of refinement. Maybe something to consider in the F12 Pro? 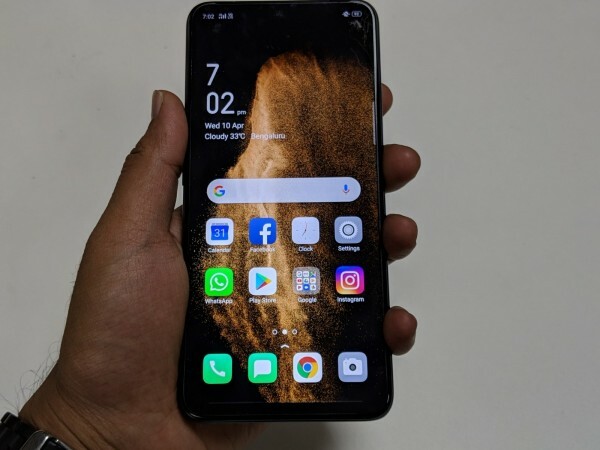 For under Rs 25k, buyers get good value with Oppo F11 Pro in India. 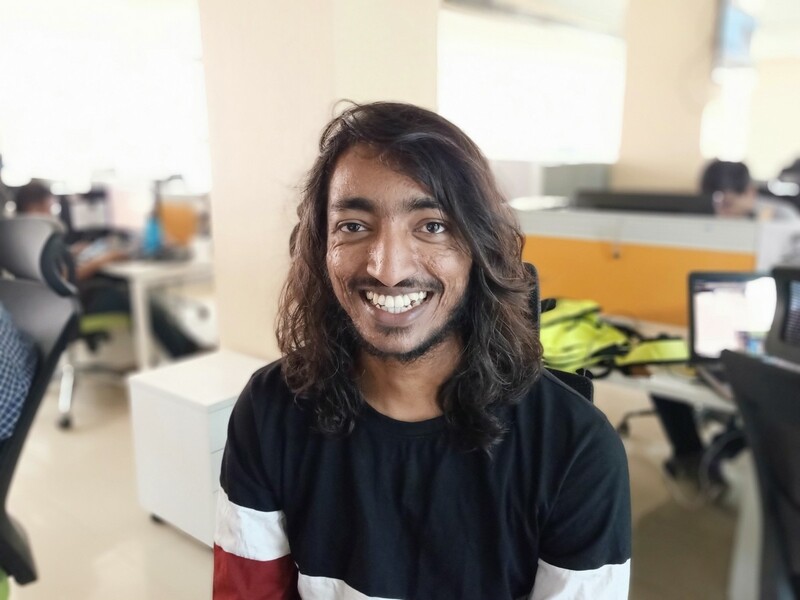 You can tap into the PUBG-craze, enjoy good photography, and go about day-to-day operations with ease if you do not mind how the UI looks and a few jitters while scrolling through social media. There's excellent battery and the display is the best you can get in this price range. The elevating camera adds a nice touch.